An inspiration for a story can come from anywhere, and often it happens in the most random ways. Case in point. I wasn’t planning in writing the book I am working on right now. I didn’t have any ideas in the pipeline and was going about my very busy and stressful daily life, when my oldest daughter uttered one since word, a name, which sent my imagination into frenzy, whipping up the story that I just had to write out. Here is how it went down. My daughter was talking about one of her friends and mentioned her name, Amaris. “Oooh,” I thought, “This is really cool-sounding name. I should write a book where the main character is Amaris.” Let me point out, at that moment I had no idea what the book would be about, but the name got me really intrigued. Since I’ve never heard name Amaris before, I decided to look up what it meant when I got home. When the wonderful world of the internets told me that Amaris meant ‘child of the Moon’, the goosebumps ran down my arms. I couldn’t believe it. It was just TOO good. See, I’m a little obsessed with the Moon (if you don’t believe me, check out my Moon board on Pinterest). The Moon plays a significant role in my stories (in the Sleepwalker Chronicles the main character sleep walks during the full moon and the Blood Moon is a pretty big event causing all kinds of trouble). In my work-in-progress vampire novel, Love Me or Bite Me, a full Moon is front and center in a very important ceremony (let’s not spill any more beans here). 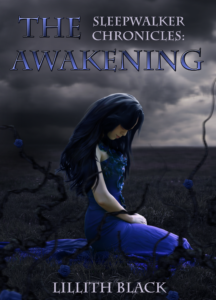 So, you can only imagine how excited I was to find out that the name of my main character had such a meaning behind it. I got even more excited when I found out that in Latin this name means ‘you are loved’. Those two things made me feel like, if I didn’t sit down to write, my head would explode! In my mind the initial idea was this: Amaris was a descendent of the Goddess of the Moon and she felt unloved, her main desire in life was to feel loved and wanted. As I’m sure all of us at some point in life, I, too, felt unloved when I was younger and people that I fell for didn’t return the sentiment. That feeling was one of the worst feelings for me, and so, an idea of my heroine feeling unloved and yearning for affection resonated deeply with me. I opened a blank text document and began to write like a mad woman. 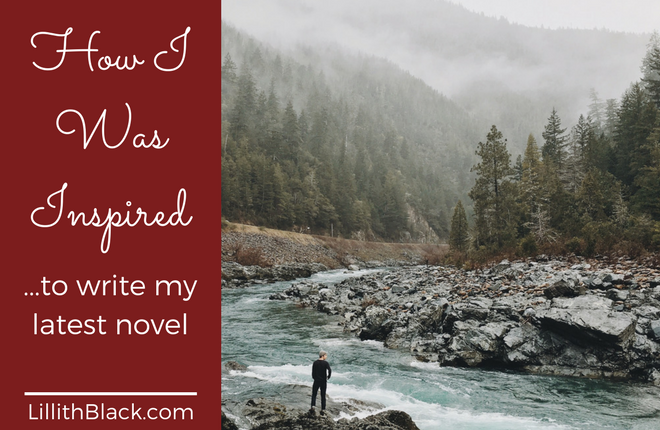 I wrote daily, never skipping a beat and wrote 65,000 words in a month. That was the fastest I’ve ever written, the words were pouring out of me. Every new paragraph I wrote inspired next one, every chapter finished made me want to see what will happen next. Using the meaning for the name Amaris as a base, I have researched further on other names associated with the word ‘moon’ and those findings inspired other characters and places. One of the locations in the book, the beautiful city of Quito, Ecuador, was inspired by the fact that it is the closest to the Moon place on the entire Earth. My research of Quito inspired other details and turns of events. Btw, look up Quito online, what an amazing, gorgeous city it is, and it is now on my bucket list of places to travel. So, as you can see, you never know where the inspiration will come from, you just have to catch it when it arrives. What are the ways you get inspired? Computer geek by day, paranormal and urban fantasy writer by night, Lillith Black hails from Southern California where the weather is great and the ocean is just 30 min away. 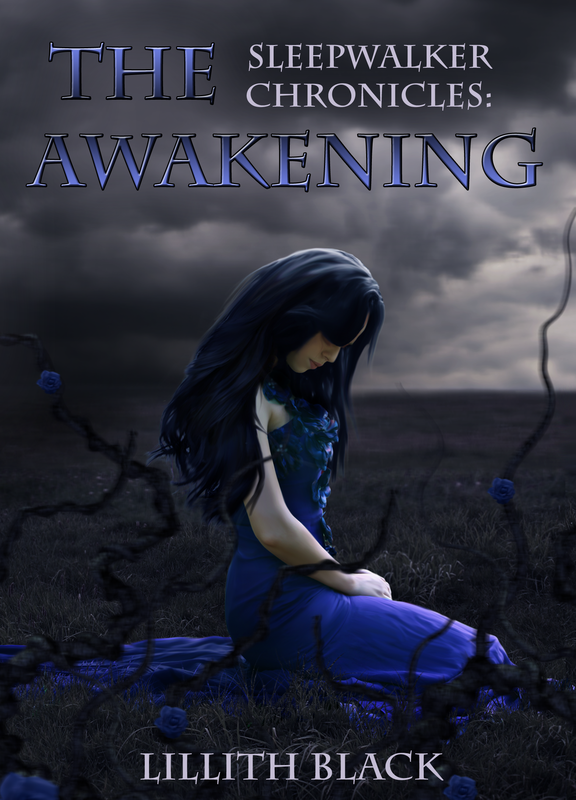 Sign up for the Readers Club and receive 10 first chapters of my paranormal YA novel Sleepwalker Chronicles: The Awakening. WonderCon 2015 – Thank you!